← # LUC MICHEL’S GEOPOLITICAL DAILY/ LES EMISSIONS QUI COMPLETENT L’ANALYSE : WORLDCUP 2018 EN RUSSIE. COMMENT LES USA ONT FAIT DE LA FIFA UN DES FRONTS DE LA ‘NOUVELLE GUERRE FROIDE 2.0’ CONTRE LA RUSSIE ? 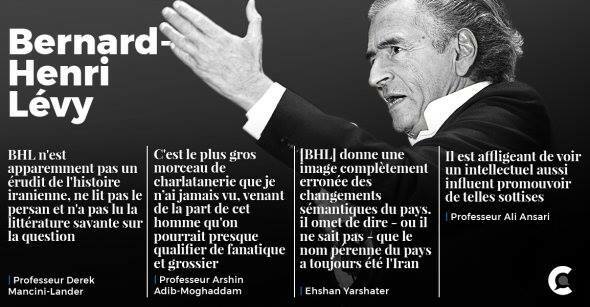 This entry was posted in # ACTU / BREAKING NEWS, # ARTICLES BY LANGUAGE, * Français and tagged Bernard-Henri Lévy, BHL, Botul, criminel, imposteur, imposture intellectuelle, Iran, Luc MICHEL, Perse, sionisme. Bookmark the permalink.